A solid PVC Tyrannosaurus rex model kit in 1:24 scale. A superbly detailed T. rex with captured Triceratops for you to assemble and paint. A PVC vinyl kit of Tyrannosaurus rex in 1:24 scale. Kit includes T. rex model (8 pieces), young Triceratops (5 pieces) display base and name plate. 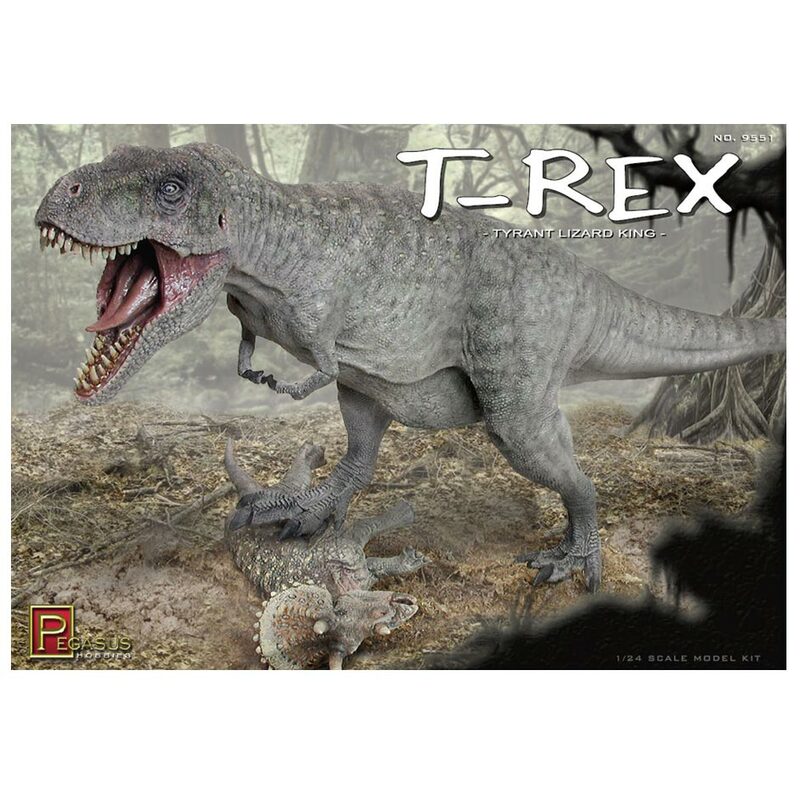 A fantastic T. rex dinosaur model kit for you to assemble and paint. Paint and glue not included. If you love dinosaurs and models then your love this!! I’ve been building models for years and i saw this kit on the internet and decided to buy from this site. The model is big, heavy and just stunning. Detail is amazing. The pose is great. The dino kit I have seen! I will be buying all the kits from pegasus hobbies… Very easy kit to build. Use a hot air gun to make the parts fit more easy. Oh and i recommend washing the kit in hot soapy water prior to gluing and painting to remove any mould release agent. Highly recommended model and a first class service.